Join the fun in beautiful historic Downtown Waukesha area for this year’s holiday celebration, Silver Bells. Each year, Waukesha is transformed into a winter wonderland of fun and holiday magic. Take a look below at the list of events taking place throughout the downtown area. There will be activities and entertainment for all ages from through December 30th. It will certainly be a Christmastime Celebration to remember in Downtown Waukesha this Holiday Season. You can view all the details on their webpage. Plus, be sure to scroll down and enter to win a family carriage ride! Details and photographs in this post used with permission by Silver Bells in Waukesha in conjunction with the Downtown Waukesha Business Association. Write Santa a letter and let him know what you want for Christmas! Stop by Santa’s bright red mailbox and drop off your letter address to Santa Claus by December 13. Santa’s helpers will collect the letters and make sure everyone who writes gets a personalized letter back from the big guy in the red suit. A picture is worth a thousand words, and nothing is more precious than holiday pictures of your children and family with Santa Claus. The WDBA in partnership with Roots Coffee Bar & Cafe will be offering free photos with Mr. Claus himself. Also while you’re there don’t forget to grab some warm freshly brewed holiday coffee drinks and food at Roots Coffeebar & Cafe! The cost for tickets is $5.00 per person or $12 for a family of three or more. Kids 2 and under ride FREE. Tickets can be purchased at Martha Merrell’s books. 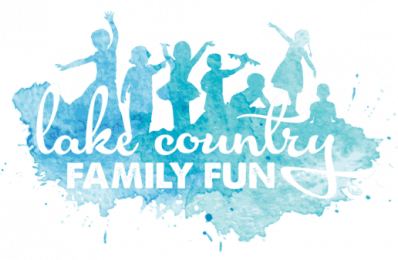 Win a family carriage ride from Lake Country Family Fun!! See Below!! These special 12 days of celebration give everyone the chance to save big on holiday shopping in the Downtown Waukesha area. Shop local this Christmas season! Coming this Holiday Season Cocoa and Canvas at Stroke of Genius. Welcoming ages 8-80 $10 per person on Saturday Afternoons Santa’s Workshop from 1:00pm-3:00pm Or Saturday Evenings 7:00pm-10:00pm for adults. Looking for a unique way to celebrate this holiday season? Want to create a beautiful, hand-painted gift or decoration you will cherish forever? Our instructors will guide you as we paint ornaments. Choose from Tiny Canvas, Wood Cutout, or Traditional Sphere. Grab a friend and create a memory! Also for the adults we’ll be serving Christmas Cocoa, w/ Schnapps, Kahlua, or Irish Creme. Santa’s breakfast workshop will be at Martha Merrell’s Book again this year! Santa is looking forward to spending some time with all of the kids! Enjoy some hot breakfast, juice, cookies, and of course coloring and arts and crafts with Santa himself! Join us for the annual Ugly Sweater Party! Downtown Waukesha shops & restaurants are hosting Ugly Sweater specials and parties throughout the area all day long for those who participate in the fun! Santa’s breakfast workshop will be at Martha Merrell’s Books again this year! Santa is looking forward to spending some time with all of the kids! Enjoy some hot breakfast, juice, cookies, and of course coloring and arts and crafts with Santa himself! Bring your family over to Martha Merrell’s Books & Toys for some holiday Sunday group activity time! Great for the entire family and even friends. All of the information on Waukesha’s Silver Bells Festivities can be found on their website. All details and photographs used in this posts were done so with permission from the Silver Bells in Waukesha in coordination with the Waukesha Downtown Business Association. Follow Waukesha Silver Bells on Facebook. Two lucky Lake Country Family Fun families will each receive a family four pack of tickets for a carriage ride through downtown Waukesha! You only need to enter once and be entered for all the opportunities. We will select the first winner on November 15th and the second on November 30th! Simply enter your name and valid email address in the form below. Be sure to also answer with your favorite seasonal event on this Facebook link. *We will contact the winner via the email submitted in the form. Only one entry per person. Duplicate entries will be deleted. Giveaway ends November 29th, 2018 at 11:59 pm (CST). Congratulations to Lisa V. and Mindy F. for being our two lucky Lake Country Family Fun winners! I love the tree lighting! There is just something about it that is magical!